Welcome! 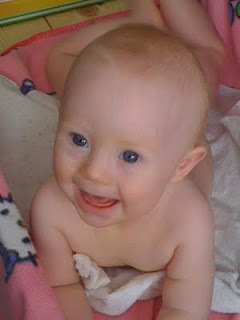 I'm Andi, mother to Jett, seven years old, who has Down syndrome (also called T21). Basically, you have also been told to lower your expectations for your precious baby. But, in actuality, the biggest handicap that your baby has may be your lowered expectations! This blog has been created to change that. Everything you have heard and read previously is probably about children who grow up untreated for T21. But with proper intervention — physical, nutritional, neurodevelopmental, medicinal, educational and environmental—your baby's future will be full of opportunities instead of obstacles. In fact, at 4 years old, Jett went through 5 hours of testing before he started 4K and he did not qualify as having an intellectual disability nor did he need speech therapy. He reads at a 5th grade level with comprehension at 2nd grade. No, these results are not typical — not even for a neuro-typical child! Let's raise those expectations! Here's a post showing some of Jett's progress. I share with you a proactive plan of action to treat your baby's root causes to prevent many of the symptoms of T21 from surfacing and how to deal with the symptoms that do appear until we find a way to prevent them. There's new research everyday! This is an exciting journey and I'm happy to guide you and to learn from you as well. Through my blog, I will explain what I have done and am doing with Jett to help him reach his potential. This information can help you to give your baby the opportunity to flourish. If your loved one is no longer a baby, welcome, there are plenty of tips for you as well! Secure in his masculinity, even at 9 months. It's natural to feel overwhelmed.... There's a lot of information here. You can't learn and do all of this in one day (or week or month...)! I'm hoping to save you the time and anguish of sorting through all the information that's out there on T21. I want to allow you to spend quality time enjoying and nurturing your child rather than spending the time that I already have going through piles of research. I am very open minded and update blog posts according to my latest findings, but I do have specific beliefs about what works best and what doesn't and I only share what I either endorse or am still open to and researching. Feel free to share your experiences and solutions you may have privately or as a comment for others to see. Keep up-to-date by subscribing in a reader to this blog or sign up to get each new post automatically sent to you by entering your email address in the "Follow by Email" box on the right of your screen. I'd love to know that you are actively benefiting from this blog by signing in as a "follower." It's a small way to let me know you are listening! You can friend me on Facebook as well where I share DS related news and let you know when I've updated posts. Yes, all of our children have Down syndrome, but each one is unique and shows different symptoms of having DS. In fact, “among numerous abnormalities reported in DS no finding except for the extra chromosomal material is constant” (Jeziorowska et al, 1988; De La Torre et al, 1996). (Remember this when your doctor/practitioner says, "It's just DS and there's nothing you can do.") This action plan, therefore, is set up as a guide that you can tweak for your child's specific needs. Meet 10 year old Lydia Supplemented and was on neurodevelopment program, both at early ages. Jett at 3 years old, reading a word in English, translating it to Japanese and then spelling the word using Hiragana, the Japanese alphabet. Teyjas, 4 years old, recites the alphabet backwards. He was only taught it forwards. Lucas en espanol Speaking Spanish at 4 years old. Supplemented and on neurodevelopment program with mom as OT. 11 year old Lydia speaking on what it's like to be a preteen. Laura's "K" Reading Ages 2-4 She's been on a neurodevelopment program early with a healthy, organic diet and started TNI at age 3. Jett, spelling at 4 years old, it was an off day, but you get the idea. Jett Pretending to Read at 16 Months Started neurodevelopmental therapy since around birth and TNI at 3.5 months old. Jett sight reading at 18 months old. Emmanuel Bishop playing the Bach Minuet on violin at age 14. I know he's on a multivitamin, not sure what else, but his Dad is an advocate and avid researcher. Emmanuel is also a great swimmer, golfer, is bilingual and does speaking engagements. 20 year old Nathan Purdy Speaking He's been supplemented for many years and his awesome mom worked extensively with him. A delightful young man! 2) Fix the common, often overlooked, medical and physical situations our loved ones usually have. b. Learn about Immunizations. Please take the time to see this easy to understand video on Vaccines and Down Syndrome. c. Treat the Thyroid Vital! 100% of our kids will develop thyroid issues. You a have a small window to fix before permanent damage sets in. 3) Clean up your family's diet with non toxic foods & foods that best support healing and health. See Nutritional Page for details. This issue is more important for our children than you may realize. See Environmental Page for details. 5) Start therapy that addresses the core issues. See Therapy Page for details. Our kids have much more difficult time with getting nutrients from food because of gut issues so supplementation is very important for their health and well being. Starting with a Down syndrome-specific multivitamin is a good idea. Then you can figure out what your child might be specifically deficient in by checking out Signs of nutritional deficiency, getting muscle tested from an NAET practitioner/ some chiropractors, getting blood work for vitamin levels or by getting tested from a zyto machine technician. NAET, (Nambudripad's Allergy Elimination Technique) are energy treatments that help "clear" allergies. You can read the book: NAET: Say Good-bye to your Allergies by Davi S. Nambudripad or go to naet.com to better understand how it works. ZYTO technology uses quantum physics as well as established Galvanic Skin Response (GSR) technology to measure fluctuations in electrical conductivity of the skin. The response helps the practitioner to see how the body responds to the items being assessed, which ones it prefers, and how much it prefers them. b. Here is Jett's Supplement List with links to my explanations as to why I chose them and how I give them. e. Another mom shares her simple explanation of why she supplements her child with DS with more tips and explanations. Check out the Parent's Resources for Guidance on Down Syndrome for books, websites, blogs, DVDs and forums that I recommend. 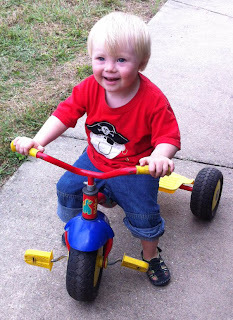 Join the community at the not for profit Down Syndrome OPTIONs. 8) If you can't find the answer to your question in this blog, or if you would like me to help you create an action plan in a more personalized way, you can contact me via email or Facebook for my services. Treatment can be started at any age and with great results. It's never too late to make a difference! Crawling: More Important than Sitting or Standing! Some TV is Good for Our Kids!